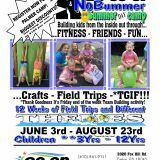 REGISTER FOR NO BUMMER SUMMER CAMP NOW! SIGN UP FOR STARQUEST NOW! Develop a love of activity in a safe and exciting environment. Develop self-worth and caring attitude toward others. Develop individual excellence from the inside out through … FITNESS – FRIENDS – FUN while doing Gymnastics – Tumble – Dance! The mission of GIRLS CO-OP Gymnastics National Training Center is to promote and encourage participation in all aspects of competitive, artistic gymnastics, while at the same time, emphasizing individual excellence. Copyright 2018 CO-OP Gymnastics. All rights reserved.